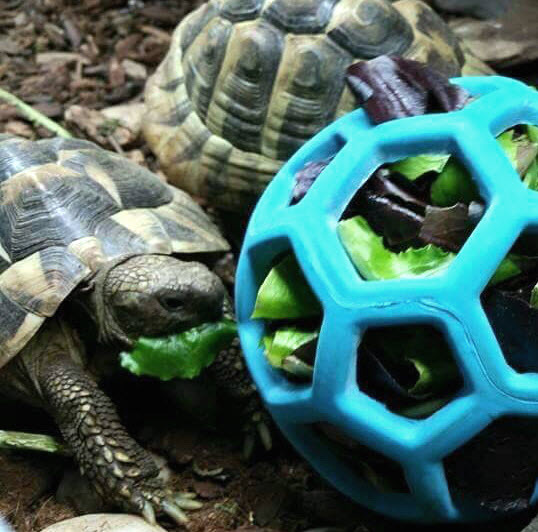 Use a Hol-ee Roller dog toy as a foraging toy for your tortoise! Get a Hol-ee Roller that is a good size for your tortoise. Prepare your tortoise’s leafy greens and stuff them into the dog toy. Put the toy on a flat surface where it can easily roll.